I promised my readers in a recent post that I would be going the cinema more often so that’s just what I did. I went to see Nocturnal Animals, the second film by fashion designer turned director Tom Ford. And let me say, it is a fine drama-thriller composed with style and substance as it traverses through the effects of revenge, betrayal and violence. Susan Morrow is a beautiful and successful Los Angeles art gallery owner, who specialises in avant-garde exhibitions. To look at this woman she has it all; a handsome younger husband Hutton, a swanky house and glowing career. But underneath the surface of elegance that she puts on, Susan is extremely lonely. Plagued by insomnia, hateful of the work she does that she refers to as junk and filled with jaded feelings, her life is clearly not as ideal as it appears. Out of the blue, Susan is sent the manuscript to a book entitled Nocturnal Animals, written by her ex-husband Edward, who she hasn’t spoken to in 19 years. Susan, bewildered by Edward sending the book to her and dedicating it to her, begins reading it while her philandering husband is away on business. 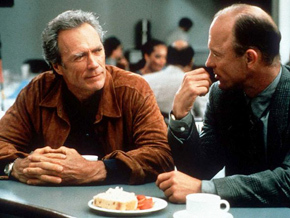 The story is one of retribution and revenge concerning a family travelling through West Texas and being menaced by rednecks, who kidnap the protagonist’s wife and daughter. Susan imagines the main character of Tony as resembling Edward, clearly illustrating unfinished business between the two. As the tale progress, Tony takes the law into his own hands along with the no-nonsense, grizzled, Stetson sporting Detective Bobby Andes in an attempt to dish out revenge to the men who ruined his life. The brutal and desperately sad nature of the book disturbs yet grips Susan, who unravels emotionally as she begins to see it as a thinly veiled attack on her and how she ended the relationship with Edward, who she proclaimed as weak. Soon, Susan has to come to terms with what she did to her ex-husband as his book has a significant impact on former wife. It shouldn’t come as a surprise that a film by someone with a background in fashion will be stylish and Nocturnal Animals very much is. 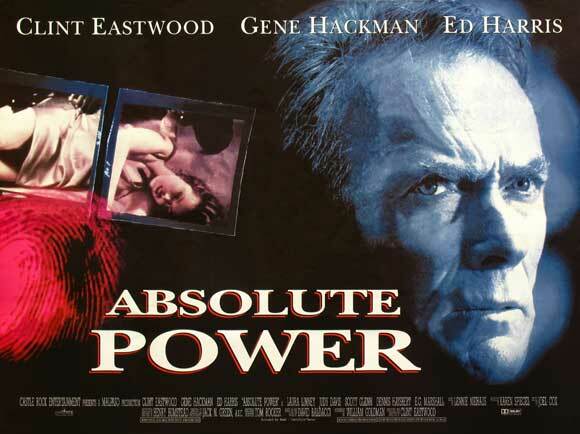 At least however there is a lot of substance to this movie that displays Ford’s growing skill as a film maker, with his choices of shooting a movie this ambitious and delivering it with dark and toxic panache. Tom Ford shows that he contributes just as much to cinema as he does to fashion and can bridge the gap with stylish ease. And the way he paces the film as a slow-burning one suits the unwinding tales of darkness that we come to view. 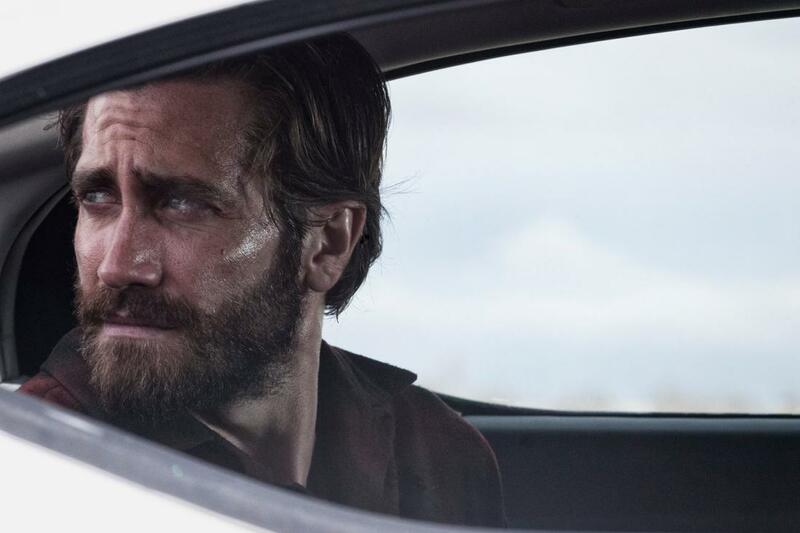 While Nocturnal Animals is splendidly lensed and filled with intoxicating imagery that will be difficult to swat away, it is the stories that unfurl that catches the eye as well. Sometimes films that have an arty look can descend into pretentiousness, but Nocturnal Animals is refreshingly not one of them as the narratives it creates and the execution of each are gripping without being confusing. The three stories at play, the drama of Susan having her misdeeds laid bare, the southern revenge tale and the recollections of the past are all extremely well observed and presented. The editing between the three showcases the links between them and thankfully you are not left scratching your head over which part is the present, past and which is the fiction. It is almost like watching two films in one, yet the way that they dovetail in acerbic fashion and cast a spell, it is hard to tear your eyes away from the dark movie at play. There is something very surreal about watching Nocturnal Animals as it weaves together everything and through visuals, it brings out different shifts in genre and tone that are adroitly handled. For example, you have the grotesque opening at Susan’s art exhibition that reveals her inner demons and ugliness beneath the veneer that points to drama in her life, then within minutes once the book is opened, a lot of noir-like tension is employed in the violent tale of an ordinary man pushed to the edge until he is capable of brutality himself. Apart from the occasional languors, Nocturnal Animals keeps you watching as narratives unfold with certain symmetry( many shots mirror each other as momentum grows), that Susan becomes very much aware of. While physical violence is at the heart of the tale, there is the emotional violence inflicted on Susan as she is forced to evaluate her past that opens up like a gaping wound and threatens to drown her. At various points of the film, we see Susan dropping the book because it hits so close to home and the way the camera lingers on her pained face, says a lot about how guilty she feels about her treatment of Edward. It would have been a cheap shot to feature Edward in the present being pleased with his revenge, but thankfully Tom Ford jettisons that predictable idea by leaving him in the past, which only causes the impact his book has on Susan to heighten largely. Some may find Nocturnal Animals too stylised and a little bit cold, but that is to miss the level of attention the film has to each story and how they compliment the other by slowly meshing together. A lot of tension and suspense is given to Nocturnal Animals through the score, that swells and builds with the feeling of work by Bernard Herrmann and the music he provided for Hitchcock. Amy Adams turns in an outstandingly nuanced turn as Susan, whose hollow, haunted and brittle existence is given a kicking in the guts by the book she receives that causes her to confront the bad past decisions she made. Adams does so much acting with her face that is riveting to watch even when she is silent. You witness the sadness, pain and regret in those large blue eyes and it is quite something to watch how subtle her acting is as she gets right under the skin of the character. Adams has become one of my favourite actresses over the years, and with her turn in Nocturnal Animals, it displays everything I find riveting about her acting style and effectiveness. I wouldn’t be surprised if Amy Adams is up for many awards come next year for her exemplary portrayal. Jake Gyllenhaal pulls double duty by playing both the Edward from the past who was sensitive and the literary counterpart of the vengeful Tony. Gyllenhaal effortlessly judges the differences in the characters and makes each an individual, that still ties in with a certain duality that Nocturnal Animals has going in. From the wide-eyed and nice enthusiasm of Edward in years gone by to the boiling cauldron of repressed anger that is Tony, Gyllenhaal knocks both roles out of the park. Michael Shannon is one of the most versatile actors in my opinion and I always enjoy seeing him pop up in movies. It’s safe to say I was mightily impressed with his supporting turn as the gruff and embittered detective, who is the man who wants to see justice done for Tony and has had enough of all the horror he has seen that has gone unpunished. This weariness, as well as level of sarcasm is brought to the part with a sense of dark charisma from Michael Shannon. Unrecognisable in the part of the sinister redneck monster who terrorises Tony and his family, Aaron Taylor-Johnson exudes such a grimy menace and psychopathic tendencies that you feel genuinely frightened by his strange presence in this unusual movie. You can practically feel the dirtiness of the character as it radiates off the screen with a malicious grin. Isla Fisher appears in a small but integral part of the kidnapped wife in the book Edward has written and the fact that she has a resemblance to Amy Adams gives another level of acidic side-swiping to the narrative as Susan is left reeling by what she reads. Armie Hammer does well with what he is given as the philandering husband, while a scene-stealing Laura Linney makes her presence felt portraying Susan’s nasty and bigoted mother. 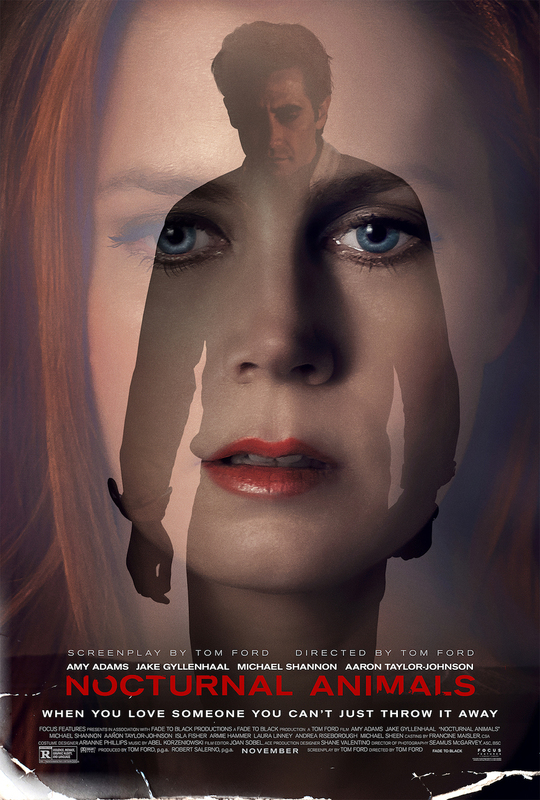 Gorgeously shot, atmospherically rendered with skill by Tom Ford and excellently played by the cast, in particular Amy Adams and Jake Gyllenhaal, Nocturnal Animals is a genre-bending movie that opens up a blistering set of stories that tie together with deft assurance and disturbing impact. Trust me, this is one of those movies that gets right under the skin and must be digested for all the impact and things it has in it long after viewing. Even as I write this review, I’m still putting parts together and remembering little bits that may have escaped my attention at first.